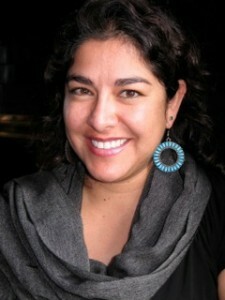 Oriana Sandoval, a native of New Mexico, received her Bachelor of Arts in Diplomacy and World Affairs from Occidental College; a Masters in Public Policy from the University of California — Berkeley Goldman School of Public Policy; and a Juris Doctor from UC Berkeley School of Law (Boalt Hall). She is currently a member of the New Mexico Bar Association. Oriana has worked on economic development, environmental justice, conservation, and civil rights issues for more than a decade. She was a principal organizer of New Mexico’s first-ever Latino conservation organization (the Latino Sustainability Institute), which educates Latinos on key conservation issues and advocates for strong conservation policies. She worked for several years at the Center of Southwest Culture as a program manager directing economic development projects or underserved communities, civil rights programs and social justice issues in the US, Mexico, the Caribbean and Central America. Oriana worked with the UC Berkeley Labor Center to provide leadership development trainings to Latino immigrant grassroots organizers in California’s Central Valley. She clerked at the Center on Race Poverty and the Environment where she conducted research for litigation on climate change issues and cases involving the violation of air quality standards in California’s Central Valley. Oriana also clerked at the Oakland, CA, Centro Legal de la Raza where she provided legal services to low-income community members in the areas of housing, employment and immigration. She worked with the San Francisco Day Labor Program on identifying employment opportunities for day laborers, most of whom are undocumented immigrants with little protection in the workplace. Most recently, Oriana served as the founding Executive Director of New Mexico Vote Matters (NMVM), a non-profit organization committed to the empowerment and participation of historically disenfranchised communities in New Mexico. NMVM assisted over 21,000 New Mexicans in registering to vote in 2012 and conducted a comprehensive Get Out The Vote campaign to over 60,000 unlikely voters in these communities to encourage participation in the political process. Melanie Aranda brings data and financial management experience to the Center for Civic Policy and specializes in GIS mapping and merging data files with organizational databases. Her involvement in social justice issues began in 1995 as a volunteer for the Petroglyph National Monument Protection Coalition, a non-profit organization involved in the struggle for indigenous rights. 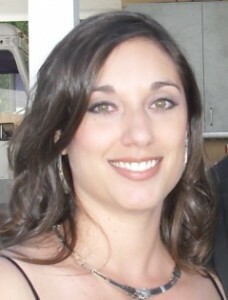 Melanie has served as Field Director for a number of successful political and issue campaigns in New Mexico. Ms. Aranda is also a small business owner, who for the last 4 years has maintained accurate financial records for a number of non-profits, small businesses and independent consultants. A Chicana and Albuquerque native, Melanie Aranda currently lives in the South Valley with her husband James and daughter Gloria. In his role as Senior Advisor, John Daniel contributes to the overall success of CCP by providing support on state-based strategy and civic engagement programs. He coordinates creative design and production of paid media, oversees the editorial functions of CCP’s online presence, and supports the issue advocacy and civic engagement efforts with policy and demographic research. Coming to CCP in 2007, John brought his 25 years of experience as a consultant in the private sector, organizer in the nonprofit sector, and media relations and performance measurement specialist in both state and local government. He has worked with the N.M. Commissioner of Public Lands, the N.M. Secretary of State, the Mayor of Albuquerque, the Bernalillo County Commission, the President Pro Tem of the N.M. Senate, and the Speaker of the N.M. House of Representatives. He has staffed the N.M. Clean Alternative Vehicle Fuels Task Force, Albuquerque Indicators Progress Commission, the Albuquerque Government al Effectiveness and Results Task Force, and the Albuquerque-Bernalillo County Unification Commission. Michael was born and raised in Albuquerque and is proud of his family roots – from México to northern Nuevo México. 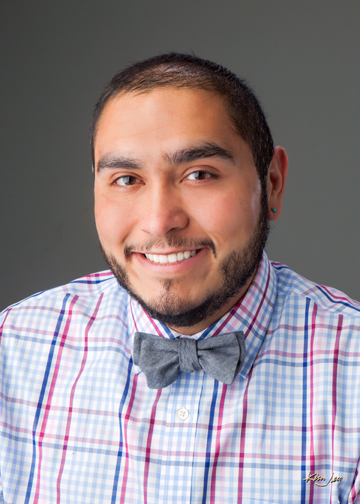 He is currently the New Mexico Data & Targeting Manager for the State Voices Network housed at the CCP, where he provides technical assistance to community organizations running civic programs. Michael previously ran political programs for the SouthWest Organizing Project. He was also a field organizer for the successful 2008 Martin Heinrich for Congress campaign. 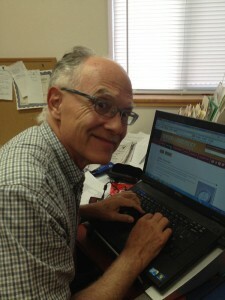 In 2011 he chaired the Redistricting Committee for the City of Albuquerque. He also worked on community outreach for several area plans in the South Valley during his time at the University of New Mexico while earning a BA in Languages. Michael is a unapologetic geek who enjoys connecting with people though technology and social media. He also enjoys wine, local craft beer and travelling, especially when he gets to speak a language he has studied.